* Ed obtains an agency in which he directs the sales of lead pencil sharpeners out of a borrowed office at Market and Monroe in Chicago. Part of his time spent in the office is used to monitor ads in pulp magazines - he becomes fascinated with the writing of some of the pulp authors. July: In desperation Ed uses free time at the office to start writing what was to become A Princess of Mars. Thirty-five-year-old Ed writes down his daydreams on the backs of old letterheads of previously failed businesses. 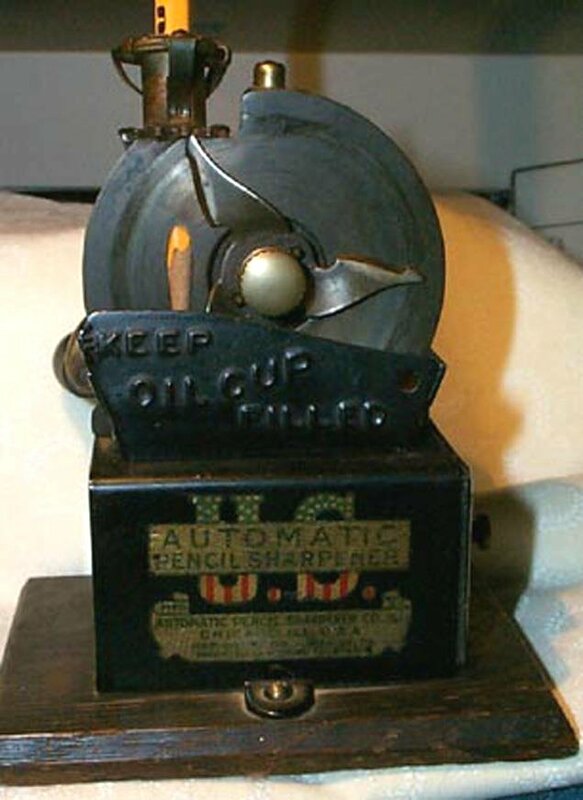 * Ed's pencil sharpener business fails and he goes to work for brother Coleman who owns a stationery manufacturing company - the Champlain-Yardley Co.
* Ed writes the article (unpublished) "Selling Satisfaction - an Anecdote" by Normal Bean. August: Ed uses his new office to complete the first half of his Mars story - working titles include "My First Adventure on Mars" and "The Green Martians." August 14: Ed submits his unfinished, 12-chapter, 43,000-word, 180-page manuscript to All-Story Magazine. He decides to use the title Dejah Thoris, Martian Princess by Normal Bean. The return address is that of the Champlin-Yardly Company, 222 West Kinzie St., Chicago and typing appears to have been done by the company secretary. After November 11 his return address is the home address of 20098 Park Avenue. August 24: Ed receives a letter of tentative acceptance of the manuscript from the managing editor of All-Story Magazine, Thomas Newell Metcalf of the Frank A. Munsey Company in New York. September 16: Ed's baseball poem about the Chicago Cubs - "O, Yes; It's Getting Thick" - appears in the Tribune's "In the Wake of the News" column. He also writes "Must Fight or Run Out," "Look on This Picture, Then on That." November 4: Metcalf offers $400 for the serial rights of the finished manuscript to be published as "In the Moons of Mars". November 17: Ed receives the $400 cheque from All-Story for Under the Moons of Mars. November 29: Ed submits the Outlaw of Torn manuscript to Metcalf. December 1 - 8 p.m.: Ed starts writing Tarzan of the Apes - longhand. December 19: Metcalf rejects Outlaw of Torn. "Tarzan" is coined on page 71 of the manuscript. Greystoke was originally Bloomstoke. In his writing ERB used both the British "grey" and American "gray." December 22: The Tarzan of the Apes foreword is written after 95 pages of manuscript have been written. * Doyle's The Lost World is published. January: Advance publicity on the January All-Story contents page reads: "In February will appear the first installment of Normal Bean's Under the Moons of Mars a surprisingly vivid interplanetary romance." The February All-Story features the story as Under the Moons of Mars by Norman Bean (an over-zealous proof-reader had made the change). The story is illustrated by Fred W. Small. It is serialized monthly from February to July. February: Ed submits the 3,500-word short story "The Avenger" to The Associated Sunday Magazines. (It is rejected as being too gruesome). February 2: ERB submits a revised version of Outlaw of Torn. He also sends a letter of rebuke for the various misspellings in Under the Moons of Mars, but praises the artwork. He indicates that he wants to use his real name on all future publications. March 4: Two rejections. Metcalf again rejects Outlaw of Torn - as were all subsequent revisions. Houghton Mifflin Co. (Boston) are not interested in book publication rights. He urges him to write a Mars sequel exploring religious themes in the Valley Dorr. March 6: Ed replies to Metcalf that he plans to write a sequel to A Princess of Mars but he is currently working on another of the "improbable" variety of tale. "The story I am now on is of the scion of a noble English house -- of the present time -- who was born in tropical Africa where his parents died when he was about a year old. The infant was found and adopted by a huge she-ape, and was brought up among a band of fierce anthropoids. . . . I am especially adapted to the building of the "damphool" species of narrative." May: Coleman's stationery business is unable to support two families so Ed cuts back his hours and takes a second position as manager for the System Service Bureau of System: The Magazine of Business Efficiency. Ed task was to give business advice to subscribers. He does all of his writing in his spare time. June 11: Ed submits Tarzan of the Apes to All-Story. June 26: Ed receives $700 payment for Tarzan of the Apes. July 14: ERB starts the sequel to Under the Moons of Mars. October: All-Story publishes the novel Tarzan of the Apes complete in one issue, illustrated by Clinton Pettee. Reader response is overwhelmingly positive and they clamour for a sequel. October 2: Completes The Gods of Mars and sends it to Metcalf. October 5: Ed submits the 3,500-word western short story "For the Fool's Mother" to the Story-Press Corporation. October 30: Ed submits a rough outline of a Tarzan of the Apes sequel to All-Story - the working title is "Monsieur Tarzan"
November 24: The Pioneer published at Camp E. S. Otis in the Canal Zone publish ERB's November 13th letter answering a fan letter from one of the troops. December 5: Ed submits a more detailed outline of the Tarzan sequel. * Ella (Nellie) Burroughs' (Harry's wife and Studley's mother) story - "The Bride" - is published in The Metropolitan Magazine. January: All-Story publishes The Gods of Mars(the first of a five part serial). January 6 - February 27: New York newspaper the "Evening World Daily Magazine" begins the serialization of Tarzan of the Apes - the first of many newspaper serializations. It runs in 46 installments - the first two are illustrated. January 8 - 9 p.m.: Ed completes the Tarzan sequel which he now calls "The Ape-Man." January 23: All-Story is lukewarm in their reception of the Tarzan sequel, saying it "lacks balance." January 28: Metcalf rejects the Tarzan sequel. February 6: "The Inner World" (At the Earth's Core) is submitted to All-Story. February 8: Rival Street & Smith's New Story Magazine offer $1000 for "The Ape-Man" which they serialize as The Return of Tarzan. February 15: George Tyler Burroughs dies - age 79 ~ He was born was born on October 13, 1833, at Warren Massachusetts, one of six children born to Abner Tyler and Mary Rice: Mary Louise, Sarah Ann, George Tyler, Henry Rice, Abner Tyler, Caroline Studley). February 28: The birth of third child, John Coleman Burroughs. Ed decides to give up his job with Shaw's Systems to devote full time to writing. March: Outlaw of Torn is again rejected by New Story. March 22: The Cave Girlis submitted to All-Story. May 23: Tarzan of the Apes is submitted to Rand McNally & Co. for book publication. They decline. * Ed submits some of Nellie Burroughs' stories to All-Story. They are not published. June 4: Ed is unsuccessful in his $25 dollar offer to buy N. C. Wyeth's cover painting of The Return of Tarzan. June 6: The Prince of Helium (Warlord of Mars) is submitted to All-Story. July 14 - March 19, 1914: "The Girl from Harris's" is begun in Chicago and finished in San Diego (13 chapters, 136 pages and 44,880 words). July 30 & 31: Ed visits Metcalf in New York. August 13: New Story's third installment of The Return of Tarzan features a cover painting by N. C. Wyeth. The original painting found its way to the Graham Gallery in New York. Wyeth's other New Story ERB covers, June 1913 - Return of Tarzan part 1 - and January 1914 - The Outlaw of Torn - appear to be lost. August 15: Ed accepts New Story's $500 offer for The Outlaw of Torn. August 16 - October 9: The Mucker is written (68,392 words). August 20: Rand McNally decline first book publication rights to Tarzan of the Apes. September 22: TheCave Girl serial begins in New York Evening World. September 22 - October 3: The Cave Girl is serialized in 11 installments in Evening World Daily Magazine. The first one is illlustrated. October 3: Metcalf writes to Ed at 550 A. Avenue, Coronado predicting success for the November All-Story which features the entire "The Man Without a Soul" and the December issue that will start a serialization of "The Warlord of Mars." At his request, Ed draws a map of Barsoom. October 9: Ed finishes The Mucker and sends it to various publications: All-Story, New Story, and Adventure, without success. December: The Burroughs family change addresses: 4036 3rd Street, San Diego in a "rose-bowered bungalo on the hills of S.D." They had found the Coronado location too low and damp. October 26 - November 24: "The Mad King of Lutha" is written (40,000 words). November 27: ERB starts the 25,000-word "Nu of the Neocene" and finishes in 20 days. December 17: Metcalf makes an offer for first refusal for all of Ed's 1914 output at 2 1/2 cents per word. Ed shows some reluctance and tries to up the offer to 3 1/2 cents. All-Story is planning to change into a weekly. January: Metcalf suggests that Ed no longer writes anything in the present tense which he feels is dated. Ed eventually accepts All-Story's offer. January 7 - February 9: The Beasts of Tarzan is written. (Original title suggestions are "Bwana Tarzan", "Bwana Tarzan and his People" and "The Apes of Tarzan"). Seeking the higher bid, Ed submits it to Metcalf and Sessions. 13,500 words are later added for book publication. January 14: Ed contributes the first of numerous poems to Chicago Tribune's "A Line-O'-Type Or Two" column - "Nay, It Hath Not gone" which is followed by some he had written in 1908-1909: "Joan's Pick-Me-Up Song". He also writes a satirical poem about California: "The Climate and the View." February 12 - March 4: The Lad and the Lion is written (40,000 words). 21,000 words are added for the book on August 20-31, 1937. March 3: Metcalf purchases the revised version of The Mucker for a record $1,450 and "wins the bid" on The Beasts of Tarzan with an even higher $2,500. March 20: Ed submits an expanded short story to Metcalf: The Girl from Harris's. He shows an interest in having nephew Studley illustrate some of his work. March 28: The Burroughs family leave California to return to 2005 Park Ave., Chicago (the Hulbert home, once numbered 194). Ed is working on The Lad and the Lion. * Metcalf moves to Argosy Magazine and Robert H. Davis takes over the revised All-Story-Cavalier weekly. April 2: The Lad and the Lion is purchased by All-Story. April: Ed seeks a position of war correspondent for the Evening World. April 13 - April 18: The Eternal Lover runs in six parts in The Evening World. The first one has a story illustration while the others feature a picture of ERB. April 16 - June 20: "A Carthoris story" (Thuvia, Maid of Mars) is written. May 1: Final agreement is reached with A. C. McClurg & Co. for the book publication of Tarzan of the Apes. June 8 - June 13: At the Earth's Core runs in six installments in The Evening World. ERB's picture is featured in each. June 12: All-Story's Davis encourages Ed to "rehabilitate Tarzan," lengthen The Girl From Harris's, and write sequels to The Mucker, The Mad King, and At the Earth's Core. Ed complies. June 17: Tarzan of the Apes is published by McClurg with a Fred J. Arting silhouette of Tarzan on the cover. The dedication is to Emma Hulbert Burroughs. The footnote on the last page of this first edition reads: "The further adventures of Tarzan, and what came of his noble act of self-renunciation, will be told in the next book of Tarzan." The first edition sold for $1.30 and the later reprints sold for 50 cents. June 23: Mary Evaline addresses her Memoirs of a War Bride to "My dear son Edgar" but this dedication is scratched out and replaced with "My dear sons" in someone else's handwriting. * Ed writes a foreword, "To Posterity" for his mother's reminiscences titled, "Memoirs of a War Bride." * Ed's nephew Studley Burroughs did the Memoirs title page illustration. * The manuscript possibly went to press at the end of the year at The Alderbrink Press, Chicago, in a possible run of 50 copies at a cost of $225.00. June 23: Ed meets with Robert H. Davis (his editor after Thomas Metcalfe) of Munsey's in New York. He quotes him as saying: "For God's sake send The World another picture of yourself -- that thing they are running makes you look like ____." June 24: Ed receives a letter from General Charles King at his 6415 Augusta Street, Oak Park, address: "I have always kept in touch with him, and as I love him just as I did as a kid I sent him a copy of Tarzan." July 8: They return from a 10-day stay at the Hulbert family farm at Coldwater, Michigan where they had driven to visit Emma's sisters. * Ed entertains his three children by making up imaginative stories in which he creates many unusual characters: Grandpa Kazink and his Flying Machine, Saphronia, Arabella the Coyote, six-legged Moaks, etc. * The Burroughs Family acquire two Airedale terriers: one of them named Tarzan. Everyone but Ed are involved in singing and playing piano. Throughout much of his adult life Ed suffers from painful neuritis and frightening nightmares. July 10: ERB changes Harris to Farris in The Girl from Harris's. July 23 - August 17: The Cave Man is written. August 8: A letter from ERB is printed in All-Story-Cavalier's "Heart to Heart Talks" column under the heading: "Tarzan Burroughs Outlines His Plans For The Future." August 17: The Cave Man (sequel to the Cave Girl) is mailed to Davis. August 21 - September 14: Sweetheart Primeval is written. September 24: Ed submits a patriotic article which is forwarded to the Army-Navy Journal: "What Is the Matter with the United States Army." September 26 - November 1:Barney Custer of Beatrice is written. October 1: Tarzan of the Apes is reviewed in Nation magazine. October 24: The Mucker serial begins in All-Story Cavalier Weekly. November 2: Barney Custer of Beatrice (sequel to The Mad King) is sent to Davis. November 7: Ed's biography appears in the Press Club's publication The Scoop. Ed is admitted to the Press Club. November 23 - January 11, 1915: Pellucidar is written (60,000 words). ERB prepares a long glossary and maps. * Throughout the year, Ed submits a string of novels, short stories, synopses and treatments to movie companies: Tarzan of the Apes, The Return of Tarzan, The Lad and the Lion, Ben - King of Beasts, The Cave Girl, A Man Without A Soul, His Majesty the Janitor, For the Fool's Mother, The Prospector, The Mad King, The Lion Hunter, and The Zealots (Aug. 31). His persistent attempts are unsuccessful. Ed joins the Author's League of America. * Starting this year reprints of the Burroughs books are published by A. L. Burt & Co. and Grossett & Dunlap. January 21 - May 11: The Son of Tarzan is written (100,868 words). February 18: Ed is given a certificate of life membership in the Press Club. March 10: The Return of Tarzan is published by McClurg with a dust jacket illustration by Newell C. Wyeth and 26 small chapter sketches by J. Allen St. John. The dedication is: "To My Mother - Mrs. George Tyler Burroughs." ~ 365 pages ~ 1st Ed. Print Run: 15,000 ~ Total: 570,000 ~ Heins word count: 86,000. April: ERB's article, "Syndication," appears in the Bulletin, published by the Author's League of America. May 1: The first of five installments of Pellucidar appears in All-Story Cavalier - complete with Ed's map of the inner world. May 12: The Son of Tarzan is mailed to All-Story. May 13 - June 10: The Man-Eater is written. June 10: A novelization of the "Ben, King of Beasts" scenario is sent to All-Story and New Story. It is rejected by both Davis and Sessions. July 8: Beyond Thirty, begun while at the Hulbert family farm at Coldwater, Michigan, and finished at Oak Park (August 10) is rejected by Davis. August: Beyond Thirty is rejected by Saturday Evening Post, Colliers and American Magazine. August - mid: The synopses, "The Lion Hunter," (a five-page comedy) and The Mucker are written to be submitted as film ideas. August 16-17: "His Majesty, The Janitor," a seven-page synopsis is written at 414 Augusta Street, Oak Park. August 24-25: "The Prospector", a synopsis expansion of "For the Fool's Mother" is written for film. 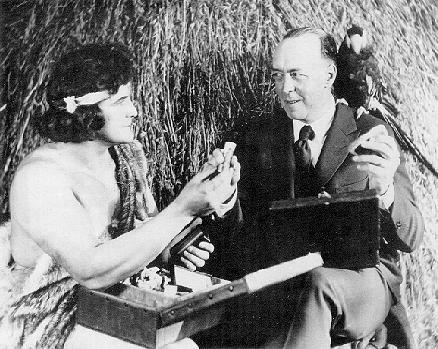 September 6 - October 19: Tarzan and the Jewels of Opar is written (60,000 words). October 18: The first edition of "Ben, King of Beasts" is published as "The Man-Eater" by the New York Evening World newspaper. (37,000 words). October 20: Tarzan and the Jewels of Opar is submitted to both Davis and Sessions. October 25 - December 5: H.R.H. the Rider is written (38,000 words). November 15-20: The New York Evening World runs "The Man-Eater" in six parts ($350). December 9: Jewels of Oparis finally accepted by Davis at Ed's price of $2,500. December 18: Death of Caroline Studley (born November 12, 1843) in Chicago. Sister to Major George Tyler Burroughs. December 31: Beyond Thirty is copyrighted by Street & Smith. January 2: H. R. H. the Rider is purchased by All-Story for $800 after being rejected by Redbook. January 3: Ed is considers writing "The Autobiography of Cain." He gives up on the idea when Davis warns him that such a rewrite of Genesis would be found too controversial by most religious groups. March 16: Out There Somewhere is submitted to All-Story. The title and some of the theme are inspired by a Henry Herbert Knibbs poem, Out There Somewhere. March 17: Work starts on The New Stories of Tarzan series for The Blue Book ($350 each). He finishes the 12th and last story on March 18, the series is written at Oak Park, on the camping tour and in Los Angeles. June 14: Ed begins "Auto Gypsying" - A 37,000-word diary of a three-month, 6,000-mile automobile camping trip. Ed drives a Packard Twin Six touring car with his family as passengers. Louis Zeibs chauffeurs a three-qurter ton Republic truck outfitted with stove, refrigerator and kitchen cabinet. A trailer loaded with trunks, tents, bedding, tools and a bathtub is pulled by the truck. Other passengers include Tarzan, the family Airedale and "the Jinx" a poltergeist which guaranteed that they have a large dose of bad luck. The first stops are Oak Park - Chicago - Gary - South Bend - Coldwater - Detroit and back to Oak Park. June 17: The Return of the Mucker (Out There Somewhere), part 1 of 5 parts appears in All-Story. July 1: A news release announces that Helene Rosson and Ashton Dearholt, popular screen artists have been married. July 28: Arrive Home. Fearful of the prevalence of infantile paralysis in the East, they cancel the eastern leg of their trip and decide to strike out for California. August 7: Start of California trek: Oak Park - Ottawa - Camp Point - Hannibal - Emporia - Newton - Larned - Dodge City - Ute Pass - Santa Fe Trail - Pikes Peak - Arizona - New Mexico - Mojave Desert - San Bernardino - Los Angeles. August 12: Republic truck was towed into Hannibal, Missouri, while the vacationers took rooms at the Mark Twain Hotel. The rain continued as did repair work on the truck, and the Burroughs family took the opportunity to visit Twain's boy-hood home in Hannibal. The fifteenth found them still in town, with work being done on the Packard — Tarzan had "knocked out" the glass from three rear windows. A group of Hannibal's bankers and businessmen welcomed the Burroughs and volunteered to take them on a tour of Mark Twain's famous cave. The Cave Visit is described on page 390 of Porges. September: The New Stories of Tarzan (Jungle Tales of Tarzan) short story 1 of 12 starts in Blue Book. September 23: At the end of their 6000 mile trip, the Burroughs family arrive in LA and settle in for the winter at 355 South Hoover Street. October 14: The Girl from Farris's serial ends in All-Story Weekly. October 18: Ed makes contact with his favourite poet, H. H. Knibbs of Los Angeles. Fall: In preparation for joining the war effort, Ed enrolls in the LA Riding Academy for a brush-up course in horsemanship. He later appeals to General King for advice on obtaining a commission in the army after which he acquires 13 letters of recommendation from his contacts. November: Ed is honoured with a membership card #1 in the Tribe of Tarzan. A club that has been formed by a fan in Virginia. November 18: Tarzan and the Jewels of Opar is run in six parts in All-Story. December: Inspired by the recent death of Jack London, Ed considers writing a biography of the author. Unable to stir up interest in numerous magazines, he gives up on the idea. December 3: Ed directs McClurg to dedicate the forthcoming The Son of Tarzan first edition to son Hulbert. December 9: The Republic Motor Truck Co. of Alma, Michigan convince Ed to write a 1,900-word promotional booklet detailing his experiences on his transcontinental trip. The result is the whimsical "An Auto-Biography" - told through the POV of a Republic truck. Winter: Ed strikes up a friendship with L. Frank Baum, a former Chicagoan and author of the Oz books. Baum invited him to join the Uplifters, a prestigious men's club he had founded. January 9: Ed returns to work after a hospital stay for a minor operation. Hulbert is under the care of a specialist and John Coleman has dipthereia. March 10: The Son of Tarzan (read the eText) is published by McClurg with all illustrations by St. John ~ (no dedication) ~ 394 pages ~ 1st Ed. Print Run: 32,000 ~ Total: 472,000 ~ Heins word count: 101,000 The dedication in the 2nd state 1st edition is: "To Hulbert Burroughs." March 12: Ed reprimands McClurg for not including a dedication to Hulbert in The Son of Tarzan. It is included in all future editions. April 3: Ed returns to Oak Park to buy a larger home at 700 Linden Avenue. April 6: US declares war against Germany. April 6: The Burroughs family move into their a three-story brick house they had purchased at 700 Linden Avenue in Oak Park. April 24: Ed is anxious to serve in the war effort. His age and family opposition prevent him from enlisting in the regular army so he makes plans to join the reserves. In response to his request for recommendation from one of his old commandants at Michigan Military Academy, Ed receives a letter from William H. Butts, Assistant. 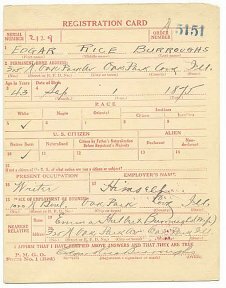 Dean, University of Michigan “I recommend Mr. Edgar Rice Burroughs as a member of the Officers' Reserve Corps. Mr. Burroughs has all the qualifications of a graduate of the Michigan Military Academy, Orchard Lake, Michigan. He left the school one week before graduation on account of ill health. Otherwise, he would now have a diploma from that institution. The school has disbanded and for that reason it does not seem possible to give him a diploma at this date. However, I can recommend him as fully equipped and able to do entirely satisfactory work as an officer. He showed himself very capable as a commissioned officer in the Academy." May: Selig Polyscope Company's The Lad and the Lion motion picture is released. June 5: Harry's son, nephew Studley Oldham Burroughs marries Mary Agnes Becker. June 30 - July 14: All-Story publishes The Lad and the Lion - in three parts. (40,000 words). Summer: Bridge and the Oskaloosa Kid is completed. It is rejected by Davis. July 16: LETTER Ed writes to vacationing little Joan from Oak Park on California Limited/Santa Fe Stationery. 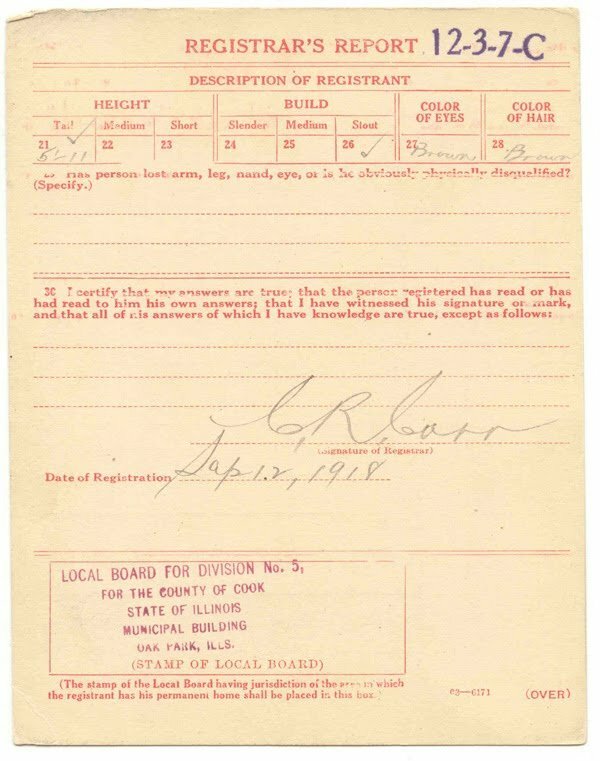 July 19: Ed receives an appointment in the reserves: Captain, Company A, Second Infantry. July? : LETTER to "My dear little daughter" Joan. Letterhead reads "Young Men's Christian Association of Campy Steever Lake Geneva, Wisconsin ~ Military Training Camp for Boys"
August: Ed and family vacation at Coldwater, Michigan. August: LETTER to little Joan. South Bend, Indiana car dealer letterhead. August 11: The Moving Picture World magazine reports that National Film's Los Angeles studio is preparing for the production of Tarzan of the Apes and is making ape costumes. Fall: Ed submits three patriotic, 400-word articles to newspapers: "To the Mother," "To the Home Girl," and "To the Woman on the Town." September 8 - October 13: "The Lost U-Boat" (The Land That Time Forgot) is written. October 10: A Princess of Mars published by McClurg. The cover illustration is by Frank E. Schoonover. The dedication is: "To My Son Jack." Illustration is by Frank E. Schoonover. Heins word count: 78,000. October 23 - February 8, 1918: "Cor-Sva-Jo" (The People That Time Forgot) is written. November 17-23: "The Little Door" is written (it is not published until year 2001). December 2: Ed, dissatisfied with the motion picture industry and the progress made on adapting his writings, dumps his 10,000 shares of capital stock. * Ed produces a steady stream of patriotic articles and poems, including: "Do Boys Make Good Soldiers?" - "Patriotism by Proxy" and "Who's Who in Oak Park" (both published in Oak Leaves) - "Home Guarding for the Liberty Loan" (a speech) - "A National Reserve Army Proposed" - "Go to Pershing" - "Peace and the Militia," "Little Ol' Buck Private" (poem), "For the Victory Loan" (poem). January 16: The National Film Corporation invites Ed to the January 27th premiere of Tarzan of the Apes. A bitter Ed declines. January 27: The eight-reel Tarzan of the Apes premieres at the Broadway Theatre in New York. It stars Elmo Lincoln and Enid Markey. It becomes one of the first motion pictures to gross more than a million dollars. February 3: The New York Times reports that 60 apes suits have been made from specifications supplied by Darwinian students and Tarzan of the Apes location teams have travelled to Manaos, Brazil - Iquitos, Peru - Banff, Canada and Louisiana. Gathered at the shooting locations were native huts, 1100 native extras, 40 aerial acrobats, four lions, six tigers, several elephants, and 18 apes. March: Bridge and the Oskaloosa Kid is published in Blue Book as The Oakdale Affair. March 1: During a visit to Coldwater, Ed looks for a cure for his seven-year bout of neuritis. He has tried everything, and even looked to Christian Science once. (June 22 letter to Weston): "This dope which I obtained is put up by a druggist in Coldwater from a prescription given to one of the Coldwater plutes (plutocrats) by a traveling salesman -- but where the traveling salesman got the prescription, deponent sayeth not. Anyhow, it cost one and one half bucks per bottle and is absolutely guaranteed to be harmless. Dr. Earle pooh-poohs the idea that it helped me and so do I; however it was a remarkable coincidence that immediately after commencing to take it the pain left me for the first time in years and I have been steadily improving since. To show what a narrow minded chump a man can be, I quit taking it because they doubled the price. . . "
April and May: Takes a business office at 1020 North Boulevard, Oak Park under the banner of "First Battalion, Second Infantry, Illinois Reserve Militia" which he also uses to recruit men for the reserve militia. He keeps office hours from 9-5:30. April 4: "How I Became an Author" article appears in the Fine Arts Supplement of the Chicago Examiner. May: Ed starts research for a Tarzan story based upon the campaign against the Germans in Africa. May 23 - July 16: Out of Time's Abyss is written. Blue Book pays $1,000 for each of the three Land That Time Forgot stories. Summer: Ed informs his syndicating agent, Chapman, that he is about to take over all newspaper syndication himself. June 12: Ed signs a contract with William Parsons, president of the National Film Corporation of America, located on 42nd Street in New York. June 22: They are having trouble with Tarzan the dog and have to muzzle and chain him while he is out. They are reluctant to do away with him as the animal is loved by the kids and provides security for Emma while Ed is away at nights. August: ERB contributes the article, "The Creator of Tarzan," to the Book News Monthly. August: Ed receives $1000 from the Red Book Corporation for the motion picture rights to "The Oakdale Affair." World Film Company produces it as a five-reeler, one year later. August: The Land That Time Forgot ("The Lost U-Boat") is published in Blue Book. August: Brother Harry's wife, Nellie (Ella) and daughter, Evelyn, are taking examinations for overseas service (Red Cross, YMCA, Knights of Columbus, etc.) They have been doing canteen work that is much appreciated by the troops. Evelyn has completed a course for overseas long distance telephony and has become a fluent French conversationalist. Ed says, somewhat ironically: "I shall be very proud indeed when two of the lady members of the family are at the front and the men here in America." He is feeling frustration that he is too old to go into service to fight for his country. August 12-26: Ed joins his company of six other Oak Park men in training at Camp Steever, Geneva Lake, Illinois. The training is physically demanding and they often work into the night with field maneuvers and trench work. A slow dresser, Ed takes advantage of the permission granted swimmers to turn out for the Reveille formation in bathing suits and after the set-up exercises takes a dip in the lake. He looks forward to the frequent swims in the lake as a break from camp life. (Weston Letter Sept 4): Geneva is a deep, clear-water lake. The water is never warm and the swimming is fine. It is one of the deepest lakes of its size in the country and goes right off within a few feet of the shore into deep water. At one place Government soundings show it to be 1027 ft. deep but I did not go down to verify the report. I derived considerable benefit from the training, especially in the matter of the new spirit of military instruction. I believe three months intensive training in an officer's training camp would make me a regular guy again as I feel that I as after my five years at Orchard Lake. I notice in the new draft law that bald headed men with three children are to be put into A-1 class so I suppose you and I will soon be in the front line trenches." He is later promoted to major and to the command of the First Battalion, Second Infantry of the Illinois Reserves. August 31: "A National Reserve Army Proposal" appears in the Army-Navy Journal. August-September: McClurg's Bulletin promotes the Tribe of Tarzan club by reporting the rules and purposes of the club. They also note that the Tribe is successfully selling Liberty Bonds and is working in the Red Cross Thrift Stamp Campaign. The request of the Fuel Commission that citizens not use cars on Sundays so as to assist in fuel rationing for the war effort puts a disappointing temporary end to family week-end rides and their visits to Coldwater. September16: The Romance of Tarzan sequel film is released. Ed's previous dissatisfaction and threatened legal actions are eased by a $2,500 advance. 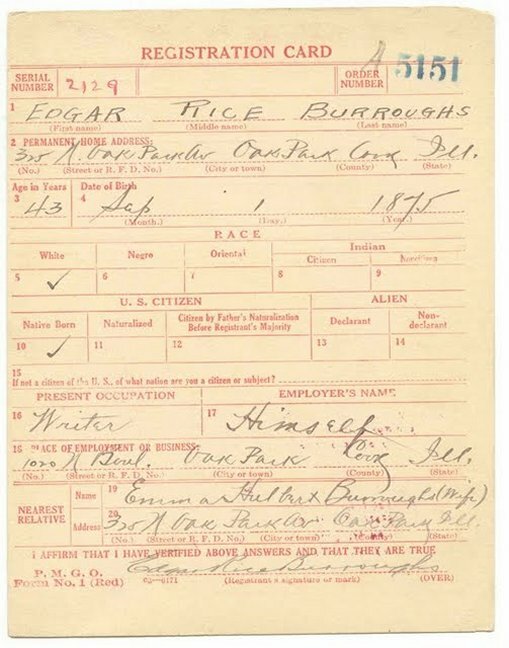 September 17: Ed, at 42, is too old to enter active service and he complains to friend Bert Weston that militia work was "the only military activity which Emma will permit me to indulge in...."
September 21: Apex Pictures contracts to produce The Return of Tarzan and pays Ed an assistant director fee of $5000. This is the start of another bout of artistic and legal wranglings. September 28: The article, "Prominent, Popular Oak Park Man Honored", appears in The Oak Parker, Vol. 34, No. 25 - Oak Park, Illinois on the occasion of ERB's promotion to the rank of major in the Illinois Reserve Militia. He is assigned to the command of the First Battalion, Second Infantry. September 28: Gods of Mars is published by McClurg. September 28: An article about ERB: "Prominent, Popular Oak Park Man Honored" appears in The Oak Parker - Vol. 34, No. 25, Oak Park, Illinois. October: The People That Time Forgot ("Cor-Sva-Jo") is published in Blue Book. October 2 (circa): Ed buys a five-year-old polo pony for the kids as all three of the children have been taking riding lessons. Ed is expecting a horse that he has bought in Wyoming and is looking forward to riding with the youngsters when it arrives. Emma has caught the riding bug and is planning to take riding lessons, as well -- ". . . and pretty soon we will junk the automobiles and all ride horse back which would be a darned sight better for our health and much less wasteful of gasoline." October 7: Ed strikes a deal with Red Book to write a series of 12 Tarzan stories for $450-$500 each. The total is later trimmed to six and appear in the March to August 1919 issues. October 9: Although the rest of the family seem to have escaped the flu, Hulbert shows symptoms which Ed hopes is the lighter Spanish Influenza. October 12: Ed, recently promoted to Major, rides a truck horse in the Los Angeles Liberty Loan parade -- a parade in which there are hundreds of other horses. The North Shore riding master assigns Ed a beautiful prize winning jumper 16 hands tall. Horse and rider elicited applause all along the line of march. Ed almost take up the riding master's offer to sell the animal for 600 dollars. October 13: The Romance of Tarzan opens at the Strand Theatre in New York. October 25: Ongoing correspondence between Ed and Bert Weston shows their passionate feelings about the war. Weston writes: "Major, I salute you!!! And a good little major I'll bet you are, and it is a doggoned pitty ou are not majoring over in Flanders where you'd be a credit to yourself, tribe and country, and not merely herding the "Park Ave Rifles" around." 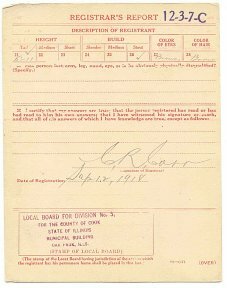 Ed replies from his Militia office: "If they put me in that class (Class G-1 to which Weston has been designated), I should go down and jump in the lake. It looks very much as though the filthy Hun would have to lie down and surrender within the next six months but I think he will only do it after a complete and thorough licking unless a gleam of intelligence manifests itself among the German people to the end that they rise up in their wrath and massacre the entire darned military class." October 29: Birth of Diana Serra Cary, known as Baby Peggy -- American former child actress of the Silent Film Era. She went on to become a noted author and historian. November 16: "Peace and the Militia" is published. * Ed starts plans for a move to California where he hopes to raise stock and live on a farm. The Linden Avenue residence is soon put up for sale. December: Out of Time's Abyss is published in Blue Book. December 4: Ed submits a plan to the Department of Justice in which he proposes to alert the public to the menace of communism by writing fiction showing what the world in the future would be like under Bolshevikism. The plan is rejected. December 7: In response to Ed's plans to get into farming, Ed's friend, Weston, says he is toying with the idea of starting a farming enterprise in Canada but fears that the Saskatchewan prairies are the "doggonedest place in the western hemisphere to live.". He gives Ed the following advice on farming: "I look upon a farm as a factory. If I go farming, I'll run the damnedthing not with any idea of getting back to nature, but from the point of view ofmaking it produce so much stuff for a 5 year average. December 7: Ed and Weston are staunch Republicans. Weston writes that a returning army major friend of his says that not a single officer will ever vote the Democratic ticket again. To Weston's knowledge no Democrat went into the army at all -- except by the draft route. Weston and son Collins admit to detesting Jane Porter, "Tarzan was mightily stung when he married her." December 9: The fear of the deadly flu epidemic hangs over the household. "Diagnosis is at best uncertain and difficult. I was asking our family physician about this yesterday and he had to admit that the Coroner makes the most successful diagnosis." December 9: Ed's thoughts increasingly turn to California: His expectations on California's climate: "You will soon be disillusioned as to the "perfection" of California's climate. It can be just as rotten as anywhere and really during the rainy season it is abominable. The greatest trouble with southern California is that it has been over-touted and a man goes there for the first time with the expectation of dropping into the Garden of Eden whereas the fact is that southern California is nothing more than desert land, certain spots in which have been reclaimed. The soil is enough to make a man from the Mississippi Valley laugh himself to death, but on the other hand it has for me the advantages of a longer period of sunshine than this climate and the lure of mountains and ocean. I would never go to California to make a fortune although I expect to make money out of hog-raising. There is, however, some satisfaction in leading a decent sort of outdoor existence in a pleasant climate and that is what I am most interested in. . . . . ".... now that we have reached old age, to settle down together for our last few days in a spot not too far removed from the Los Angeles Athletic Club and where we might also have our saddle horses. . . "
Education: "There is, of course, the question of educating the children which is giving me considerable concern. They are getting along nicely in school here although they are not very far advanced inasmuch as we have never attempted to push them and none of them is an intellectual prodigy. Out there if we have a ranch twenty-five or thirty miles from Los Angeles, it will porbably mean that we will have to have a governess for them as it would be too much of a trip to take them in every morning and bring them back in the afternoon." December 10: ERB finishes writing "When Blood Told." December 11: ERB starts "The Debt"
December 14-28: H.R.H the Rider is serialized in three parts in All-Story Weekly ($800). It is also sold to Western Farm Life on October 8, 1919 for $25. December 15: "The Little Door" is firmly rejected by Collier's and later by The People's Home Journal. December 15: Emma is laid up with a bout of the grippe. The deadly flu epidemic is on everyone's mind. They are planning to look for a ranch near Los Angeles "where I expect to give up the prosaic vocation of writing fiction for the more romantic one of raising swine." December 18? : Ed writes to Howard Platt of Salt Lake City, asking for assistance or advice in finding a rural property. He is planning a move to California and is looking for a country place close enough to Los Angeles so that he and Emma and the kids can make regular visits to the city. He has always wanted to live on a farm and to raise livestock. Since he wants to raise hogs he wants a farm suited to growing alfalfa. One option might be to rent a place for five years with option to buy but he needs a modern house as they have had their fill of roughing it over the years. He is hoping that when he has plans in order that he can present the idea to brother Harry and that he can join him in the enterprise. His big concern is money -- he admits that he has champagne tastes but only beer financial resources with only about $20,000 in bonds and cash and a projected annual income of $25,000. December 18? : Ed writes a second letter to a company in Tampa, Florida in which he indicates that the is looking for land in Florida or Southern California on which he can start a hog raising venture. December 25: Crossing car tracks at Cicero Avenue in bumpy snow ruts, Ed slows to first or second gear but a Yellow Cab crosses his path and stops. Ed is not able to stop because of icy conditions and slides into the cab. December 30: "Local Mystery" - a fictitious foreign correspondent's account of a visit to Paris - is printed in the Coldwater, Michigan, Daily Reporter. (Ed's sister-in-law Leila is editor). Sometime in this period Ed bought a country place in Coldwater. The area had been a Burroughs and Hulbert family vacation spot for years. * Ed receives a painting of the Burroughs family crest which contains a griffin and a tree with deep roots. The motto is ADDAX FORTUN JUVAT which I interpret as "To inspire and give fortune, luck, happiness and wealth in youth"
January 4: Ed, residing at 325 North Oak Park Avenue, Oak Park, receives a bill from the Yellow Cab company for damages of $9.10 for repair to the cab involved in the Christmas Day accident -- repairs to a broken tire shaft and side panel. Ed replies on January 13 that he will not pay as the accident was unavoidable and he was not at fault. January 15: Feelings of guilt prompted by superpatriotism and disappointment in his own war performance lead Ed to resign from the Military Order of the Loyal Legion of the United States. January 28: Ed confesses in a letter that Elmo Lincoln was far from his conception of Tarzan. January 28: Thirty of Ed's friends from Chicago's White Paper Club give him a farewell banquet at the La Salle Hotel. A special humorous programme, "Tarzan's Feast of Departure" is illustrated by St. John. January 31: The Burroughs family leaves for Los Angeles on the Santa Fe. February 3: The Burroughs family arrive in LA and stay at the Alvarado Hotel until they move into a rented house at 1729 North Wilton Avenue, LA. They spend much of their time looking for a suitable ranch to buy. February 25: Ed receives a letter from an attorney representing the Yellow Cab company that he must pay them the $9.10 owing for accident repairs. Ed responds that he was not at fault and will not pay... and that he has moved to Van Nuys, California. March 1: Ed purchases Mil Flores ($125,000), the 540-acre country estate of the late General Harrison Gray Otis, founder of the Los Angeles Times. It is located in the San Fernando Valley in the foothills of the Santa Monica Mountains. Ed rechristens the estate, Tarzana Ranch and takes on the joys and frustrations associated with the role of gentleman farmer. March 14: Ed urges old friend Bert Weston of Beatrice to buy ranch sites on either side of the Tarzana Ranch. Ed's description of the new Tarzana Ranch: Tarzana is a very delightful place. We have 540 acres on the State Highway -- a boulevard running from Los Angeles to San Francisco -- in the San Fernando Valley foothills of the Santa Monica Mountains. The place is 23 miles from L.A. shopping district and thirteen miles from the ocean -- by auto road. The house stands on top of a hill about half a mile from the boulevard and has -- as nearly as I can count them -- eighteen rooms and six baths. It is of Spanish architecture built around a patios in which are many flowers and shrubs. The hill comprises some fifteen acres set out in flowers, shrubs and trees. I think there are some two thousand trees of several varieties -- many of which were brought from Asia and Africa. Half a mile up the canyon are the foreman's house, bunk houses, barns, corrals, etc. I acquired 400 head of pure bred Angora (mohair) goats, five horses, a cow, forty hens, and a bum dog, beside farm implements and $8,000.00 worth of iron and concrete water piping. There is an abundance of water and I almost forgot, a 12 acre grove of olive, lemon, apricot and orange trees, beside 250 English Walnut trees. It really is a very decent sort of dump. The house commands a view of the mountains and a lovely valley of farms and groves, beyond which are other mountains with snow capped peaks in the distance. At this time of year the hills are green with new grass -- about July they will turn brown again. The range into which Tarzan runs is very wild. It stretches south of us to the Pacific. We have already seen coyote and deer on the place and the foreman trapped a bob-cat a few weeks ago. Things come down and carry the kids out of the corrals in broad day-light. Deeper in there are mountain lion I have bought a couple of .22 cal. rifles for Hulbert and myself beside my .25 Remington and automatics, so we are going to do some hunting. Jack has an air rifle with which he expects to hunt Kangaroo-rats and lions and I am going to get them each a pony. We are looking forward to having a bully life on the place. There is plenty of room for a golf course -- and a mighty sporty one too. Also expect to put in a swimming pool and tennis court. My principal business later will be hog raising -- from bred Berkshires; but I am going to go slow on that. I cannot imagine a more nearly perfect place. April: Ed renews efforts to form his own production company. More years pass until he is successful in this. April 22: Studley's wife, Mary Becker, dies in childbirth. A broken Studley moves to Tarzana. While at Tarzana he laid out a nine-hole golf course and designed a special golf scorecard. Previously he had used his artistic skill to create a bookplate for Ed's personal books. April 25: The Editor magazine requests and later receives an ERB article giving advice to young writers. April 28: ERB's Letter to Joseph Bray: "My secretary and her husband threw up the sponge and departed hence for Illinois last week. I am now my own secretary, hog expert and goat impresario. Also both my goat herders quit Saturday, a coyote killed a kid yesterday, three other kids died, I fired the ranch cook, it rained all over my freshly mown hay and the starter on the Chandler won't work. Otherwise we are having a heluva nice time. (I just glanced out the front window to discover that the pole on the rake has broken and that two men have stopped work to look at it, leaving a team and a tractor idle.) But somehow I can't help liking it — I never loved any place in my life as I do this and if anything happens that I don't make a go of it I believe that it would about break my heart." April 29: Weston sends congratulations to Ed for having killed off Jane Porter in the Red Book serial of Tarzan the Untamed. April 30-May 21: "Under the Red Flag" is written. This anti-communism story receives a long series of magazine rejections. Most editors feel that fiction is not the proper place for propaganda. May 8: Ed discusses Tarzana: He informs Bert Weston that he has bought three sheep dogs in addition Tarzan the Airedale: Don, Jack and Lobo. He admits that Tarzan plays a major part in their lives: "We eat and sleep Tarzan -- I ought to be tired of him; but I am not, nor do the children seem to be. Emma is too polite to say if she feels other wise. the dog is named Tarzan, the place is Tarzana, and a guy bobbed up day before yesterday with the plan of a whole village he wished to plant in my front yard -- school, city hall, banks, business houses, motion picture theater -- and it was labelled: City of Tarzana, which sounds like a steam-boat. There have been three motion picture men up in the past two days talking Tarzan films. I guess our move to sunny southern Cal will prove profitable from the m.p. stand point as I am nearer to where they do it. I hope so as I need the money -- it costs something to be a successful farmer. "My beans are up, baby limas; my corn is up, Orange County Prolific; my apricots are heavy on the limbs; my new alfalfa is also up, Hairy Peruvian. I thought of drilling in safety razors with it. My barley is nearly all cut and the binders have started on it. The tractor is discing field #15 preparatory to hanging out potatoes, or should it be sowing or planting. Over three hundred kids frolic in the field. I do not know the name of my apricots or I should have mentioned it . With the barley off we shall plant Milo Maize on about one hundred acres. I am going to plant Milo Maize because it is the only other thing I haven't planted that I can recall the name of. I have acquired three dogs in addition to Tarzan, the Airedale. There is Don, a mongrel sheep dog who was on the place and stayed. There is Jack, a full blood sheep dog, I bought to make the goats nervous, and Lobo, another sheep dog, that a Spaniard gave me. Lobo I love. Emma says he has soulful eyes. A wag would call him a sad dog. He is six months old and appears to have been born without any friends; but there is something about the little cuss that gets under my skin." May 10: A letter arrives forwarded from 700 Linden, Oak Park, from the American Jewish Congress in Washington, DC Reubin Fink requests that ERB sign a card endorsing the Jewish Bill of Rights -- an appeal to put a stop to the persecution and discrimination against Jews -- "a call to justice for the Jew." Recognizing his tolerance and humanity they request his assistance in legitimizing the merits of this document. Ed responds on May 21. May 21: ERB writes to the Jewish Congress stating that he is glad to lend his approval to their cause and wishes them all the success in their battle against persecution. The discrimination they face has always aroused his disgust. In fact, he always been perplexed by the intolerance and inhumanity that all religions -- Jews, Christians, Muslims, Pagans, etc.exhibit toward each other. He finds Clause 6 unclear, however, as he always believed that every alien should be expected to read and write in the language of the country to which they are migrating. Summer: John A. Shea is hired as secretary. September 10: "Tarzan and the Valley of Luna" is completed at Tarzana but rejected by Red Book. And Cosmopolitan. It appears later in All-Story in five weekly issues. September 2: 6:30 Ed's Packard Touring Car is hit by a a People's Express Truck by the Oakland Ferry suffering minimal damage. September 13: The Institute for the Blind who are selecting books for blind soldiers ask Ed to donate brailing costs -- probably for Tarzan of the Apes. September 20: Ed writes the Institute for the Blind that he is not financially able to pay brailing costs and suggests that since he has already donated rights to his book(s) and that publishers are absorbing costs, that the rest of the costs probably should be covered by the Institute or the Government. He suggests that they ask for further assistance from publishers and newspapers who have run his stories. September 30: The last of a series of letters from the Institute for the Blind who are persistent in their efforts to obtain funding from ERB. They name 18 financial contributors of the 80 authors they have contacted who will pay brailing costs -- including Jack London, Booth Tarkington and Zane Grey. Through the years ERB consistently gives non-profit rights for braille publishing. September 22 - October 22: The semi-autobiographical The Efficiency Expert is written (50,000 words). It is sold to All-Story on November 17. October 6: The Oakdale Affair is released by World Film Corporation. October 11: Moving Picture Herald praises The Oakdale Affair. October 23: The first British edition of Jungle Tales of Tarzan is published by Methuen. November 29: Ed and Emma order a Mason & Hamlin Ebony grand piano from Jack Marrill Co., NY at a cost of $900 They had compared this piano to a Steinway and preferred the Mason & Hamlin. 1919-20: Two million copies of ERB books sold in USA royalties in England were 2/3 of US.